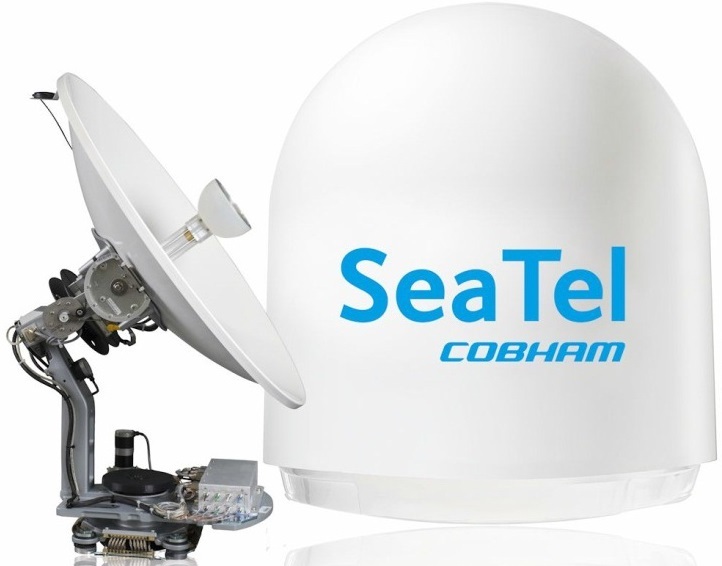 These new Seatel TVs provide worldwide coverage using the same Ku band Worldwide Programable LNB that automatically configures for circular pol or linear pol when changing regions. The DVB S2 tuner, built into the above-deck antenna provides positive satellite identification on the of the latest DVB-S2 and DVB-S satellites. The antenna is controlled from any PC, tablet or smartphone on your ship's network via the built in web GUI in the LMXP (Media Exchange Point) located in the rack. These antennas are specifically designed to receive DirecTV US high definition Ku and Ka signals as well as worldwide circular and linear Ku Band satellites. The triple port feed receives three satellites at 99W, 101W and 103W simultaneously. These antennas are recommended for vessels that spend most of the time in the continental US and are set up for high definition DirecTV distribution to the TV receivers. The receivers should be HD capable, and located close to each TV so that they can be connected with HDMI cables to the display. The maximum length of HDMI cables is limited without special HDMI extenders. Ku + Ka Triple port feed 3 DirectTV satellites HD + SD + worldwide Circular/Linear LNB Ku + Ka Triple port feed 3 DirectTV satellites HD + SD + worldwide Circular/Linear LNB. The first two digits of the antenna model denote the size of the antenna dish in inches. The last two digits indicate the year that the design of the antenna began operation. 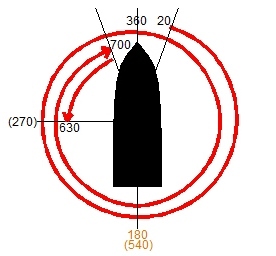 4004 indicates a 40" antenna with 2004 technology, even though it is still one of the most recent and current models in production today. As another example, 4094 indicates 1994 technology which was a popular antenna for many years and there are still many in use. The 4004 is the most common superyacht TV antenna, and is usually mounted with a matching 4006 VSAT antenna. The Model 4004 is a 40” antenna that features high performance stabilization and satellite tracking using a 3-axis closed loop stabilization system, providing quality performance in the roughest seas. 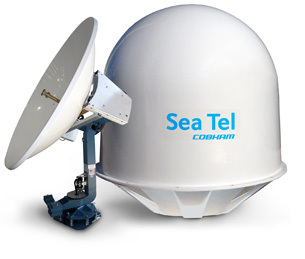 The Model 4004 has a compact, attractive all-white radome, DVB (Digital Video Broadcasting) signal identification, and Sea Tel’s proprietary antenna control and fast-track signal lock software. It’s ready for multiple satellite reception and includes a two year warranty on parts, one year labor. The 4004 lists for about $20 500. With Sea Tel’s patented antenna stabilization system, the TV choices you enjoy at home can be enjoyed at sea, all at the touch of a button. The 04 Series antennas are compatible with the services provided by the industries leading satellite companies like DirecTV™, DISH Network™, Bell TV™, Hotbird, Sky, Orbit and DirecTV Latin America (DLA)™. All Sea Tel DBS TV-at-Sea systems accommodate any number of satellite receivers. Many TV sets may be installed onboard, each receiving its own programming from its satellite receiver. The XX04 is not an unlimited azimuth antenna. The cable needs to unwrap when it reaches the physical limits to keep the cable from becoming twisted. The antenna actually unwraps when it gets to within 3 degrees of the physical limits. The antenna has physical limits at 20 degrees off the starboard bow, through two revolutions to 700 degrees, which is 20 degrees off the port bow. In normal operation, the antenna can move a total of 674 degrees from Relative Azimuth REL 23 through REL 360 to REL 697 degrees. When it reaches 697 degrees it will unwrap 360 degrees to land back at 337 and continue tracking the satellite. 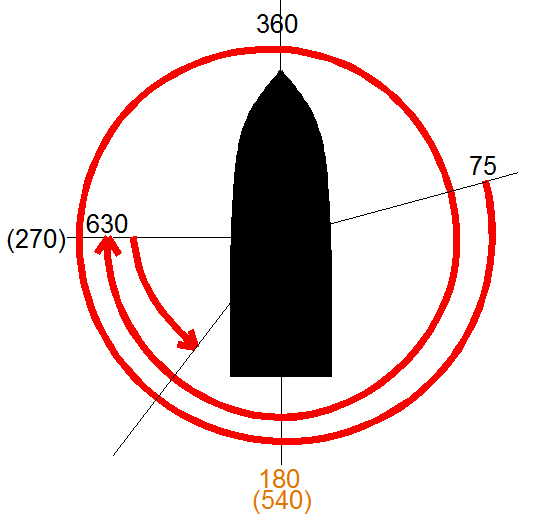 The Relative Angle (REL) of 360 degrees normally points at the bow. (In the case of dual antennas, one antenna might point to the stern to avoid both antennas being in unwrap at the same time.) There is no REL 0 degrees. During antenna initialization, the antenna moves from wherever it happens to be, in a clockwise direction until it hits the endstop at 700 degrees. It then moves back to an angle of 630 degrees (90 degrees off the port bow). The REL should read 630. When it targets the satellite, it will move, using the 630 degree point as a starting reference, to the required satellite REL which is calculated from the required Azimuth and the ships heading. The 6004 initializes in much the same way, except that the end stops are located at 75 degrees and 630 degrees. When the antenna initializes, it will rotate clock wise until it reaches the end stop at 630 degrees on the port beam. It will then rotate back about 45 degrees while completing initialization, before searching and targeting the satellite. This antenna will unwrap when it gets within 10 degrees of either end stop. The current software for this legacy PCU ends with the letter K (example 2.53k) while the regular PCU software ends in the letter L . Due to the difference in limits, it is important not to load the wrong software in the PCU. 48877 visits to this page since 28 Nov 2012.